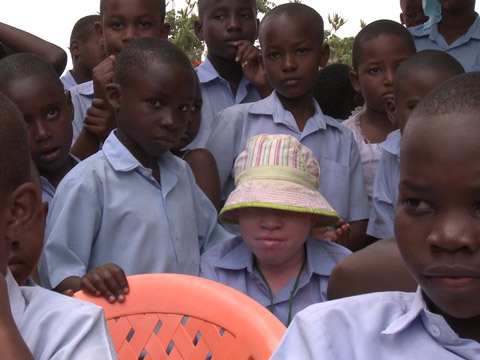 In the East African region, ten times more people have albinism than in North America and Europe. In Tanzania and parts of East Africa, certain corrupt healers traffic in the body parts of persons with albinism (PWA). They sell them for magical potions and amulets to anyone who will dare to use them and prey upon deep-seated and long-standing prejudices and superstitions. Vicky Ntetema, former BBC Tanzania Bureau Chief, investigates the murders of PWA sweeping the country. She takes us into the lives of those terrorized by this scourge through their own eyes, fear, and courage. Jean-François Méan is a researcher, writer and director of documentaries and short dramatic films. Shortly after graduating from the Mel Hopenheim School of Cinema in Montreal, he co-wrote and directed American Savannah, a documentary about the North American obsession with lawns. Since then, he has produced and directed short documentaries for TV5 and won an award for his short film Candid Camera at the International Pan African Vues d’Afrique film Festival in Montreal in 2008. His latest documentary White and Black: Crimes of Color explores the killings of persons with albinism in Tanzania and was created in Swahili. He is currently conducting a tour of mass community screenings and debates in Tanzania’s Lake Zone, where most of the killings occur. If you would like to receive periodic updates about UNAFF events, please click HERE to join our mailing list. We are a nonprofit organization and if you like what we do, please consider making a donation.